Welcome to ROLLER! We are a ticketing and registration platform dedicated to delivering first class booking experiences for the leisure, hospitality and events industry. Through our platform, mobile apps and services, we enable people to create, discover, share and register for events, and help venue and event managers more effectively run their business. If you are a User, the Services are being provided to you by, and you are entering into these Terms of Service with: ROLLER Networks Australia Pty Ltd.
We are registered in Australia under ACN 152 533 278. Our ABN is: 84 152 533 278. You agree to these Terms of Service and you enter into a binding contract with ROLLER either when you sign up for a registered account by clicking “Sign Up,” “Register Now,” “Get Started” or similar buttons, or if you are an unregistered Attendee, when you purchase a ticket to or register for an event (including free events) or purchase merchandise, a service or make a donation related to an event, in each case by clicking “Pay Now,” “Register Now,” “Buy Now” or similar buttons, or in accordance with Section 3.2 below. If you are not a registered user or an unregistered Attendee, you agree to these Terms of Service and you enter into a binding contract with ROLLER by downloading Applications or using, accessing or browsing any part of the Services. If you do not agree to any portion of these Terms of Service, do not use or access the Services. If you will be using the Services on behalf of an entity, you agree to these Terms of Service on behalf of that entity and its affiliates and you represent that you have the authority to do so. In such case, “you” and “your” will refer to that entity. If you do not have such authority, or if you do not agree to any portion of these Terms of Service, do not use or access the Services. ROLLER reserves the right, at its sole discretion, to modify or replace any of the terms or conditions of these Terms of Service (or any of the agreements that make up these Terms of Service) at any time (collectively, “Modifications”). Modifications to these Terms of Service will be posted to the ROLLER website with a change to the “Updated” date at the top of these Terms of Service. In certain circumstances ROLLER may provide you with additional notice of such Modifications, via email or with in-Service notifications. Modifications will be effective thirty (30) days following the “Updated” date or such other date as communicated in any other notice to you, except that changes addressing new functions of the Services or which do not impose any additional burdens or obligations on you will be effective immediately. It is your responsibility to check these Terms of Service periodically for Modifications. Your continued use of the Services following the effectiveness of any Modifications to these Terms of Service constitutes acceptane of those Modifications as well. If any Modification to these Terms of Service is not acceptable to you, you must cease accessing, browsing and otherwise using the Services. Other than as set forth in this paragraph, these Terms of Service may only be modified through a written Addendum Agreement or Digital Platform Agreement, signed by you and approved by an authorised officer of ROLLER. Except to the extent we have agreed otherwise in a separate written Addendum Agreement or Digital Platform Agreement between you and an authorized officer of ROLLER, ROLLER may terminate your right to use the Services at any time for (a) your violation or breach of these Terms of Service; (b) your misuse or abuse of the Services; or (c) if allowing you to access and use the Services would violate any applicable local, state, provincial, national and other laws, rules and regulations or would expose ROLLER to legal liability. We will use reasonable efforts to provide you notice of any such termination. Further, you agree that ROLLER shall not be liable to you or any third-party for any such termination of your right to use or otherwise access the Services. Except to the extent you have agreed otherwise in a separate written Addendum Agreement or Digital Platform Agreement between you and an authorized officer of ROLLER, you may terminate your access to the Services and these Terms of Service by deleting your account. If you need help deleting your account, please contact us via: info@ROLLERdigital.com. In the event there is a separate agreement between you and ROLLER governing your use of the Services and that agreement terminates or expires, these Terms of Service (as unmodified by such agreement) shall govern your use of the Services unless and until you delete your account. (b) to the extent permitted by law, ROLLER has no liability (and you hereby release ROLLER from and indemnify ROLLER against any and all claims and liability) arising from the marketing, offer, sale, use (and non-use) and redemption of Gift Cards. To the extent permitted by the Australian Consumer Law, ROLLER hereby expressly disclaims all warranties of any kind, express or implied, including, but not limited to, implied warranties of merchantability, title, non-infringement and fitness for a particular purpose. Nothing herein is intended to remove your rights to statutory guarantees provided by the Australian Consumer Laws to the extent such statutory guarantees are applicable. ROLLER uses commercially reasonable efforts to ensure that the Services are available without interruptions and transmissions are error-free. However, by the nature of the Internet, this cannot be guaranteed. In addition, ROLLER may take some or all of the Services down for planned repair or maintenance from time to time. ROLLER will use commercially reasonable efforts to notify you prior to such planned repairs or maintenance. ROLLER does not assume any responsibility for the content, products, services, actions or inactions of any User or third party before, during and/or after an event. You acknowledge that ROLLER has no control over and does not guarantee the quality, safety or legality of events advertised, the truth or accuracy of any Users’ (including Attendees’, other non-Organizers’ and Organizers’) content or listings, or the ability of any User (including Attendees and Organizers) to perform or actually complete a transaction and ROLLER is not affiliated with, and has no agency or employment relationship with, any third party service provider used in conjunction with the Services, and ROLLER has no responsibility for the acts or omissions of any such third party. However, ROLLER wants its customers to report any such misconduct in connection with the Services by contacting us. To the extent permitted by applicable laws, the services are provided on an “as is” and “as available” basis. ROLLER hereby expressly disclaims all warranties of any kind, express or implied, including, but not limited to, implied warranties of merchantability, title, non-infringement and fitness for a particular purpose. By way of example, ROLLER makes no warranty that (a) the services (or any portion of the services) will meet your requirements or expectations; (b) the services will be uninterrupted, timely, secure, or error-free; or (c) the results that may be obtained from the use of the services will be accurate or reliable. You acknowledge that ROLLER has no control over and does not guarantee the quality, safety or legality of events advertised, the truth or accuracy of any users’ (including attendees’, other non-organizers’ and organizers’) content or listings or the ability of any user (including attendees and organizers) to perform or actually complete a transaction and ROLLER is not affiliated with, and has no agency or employment relationship with, any third party service provider used in conjunction with the services, and ROLLER has no responsibility for, and hereby disclaims all liability arising from, the acts or omissions of any such third parties. The trademarks, service marks and logos of ROLLER (the “ROLLER Trademarks”) used and displayed in connection with the Services are registered and unregistered trademarks or service marks of ROLLER. Other company, product and service names used in connection with the Services may be trademarks or service marks owned by third parties (the “Third Party Trademarks,” and, collectively with ROLLER Trademarks, the “Trademarks”). The offering of the Services shall not be construed as granting, by implication, estoppel, or otherwise, any license or right to use any Trademark displayed in connection with the Services without the prior written consent of ROLLER specific for each such use. The Trademarks may not be used to disparage ROLLER, any third party or ROLLER’s or such third party’s products or services, or in any manner that may damage any goodwill in the Trademarks. Use of any Trademarks as part of a link to or from any site is prohibited unless ROLLER approves the establishment of such a link by prior written consent specific for each such link. All goodwill generated from the use of any ROLLER Trademark shall inure to ROLLER’s benefit. These Terms of Service and the provision of the Services to you are governed by the laws of the state of Victoria, Australia, without reference to principles of conflict of laws. The failure or delay of ROLLER to exercise or enforce any right or provision of these Terms of Service shall not constitute a waiver of such right or provision. No oral waiver, amendment or modification shall be effective under any circumstance whatsoever. If any provision of these Terms of Service is found by an arbitrator or court of competent jurisdiction to be invalid, the parties nevertheless agree that the arbitrator or court should endeavor to give effect to the parties’ intentions as reflected in the provision, and the other provisions of these Terms of Service shall remain in full force and effect. Please report any violations of these Terms of Service by email to: info@ROLLERdigital.com. 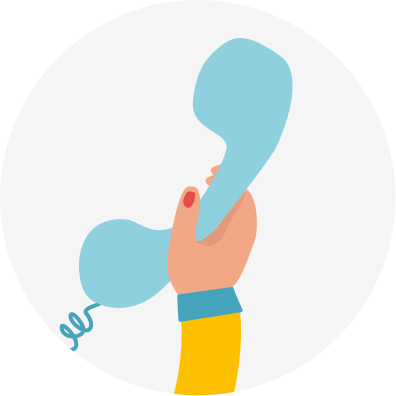 Our dedicated support team are here for you whenever you need!